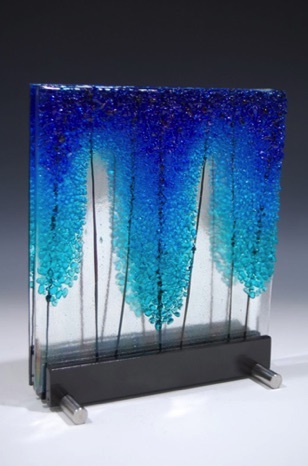 Any piece from the Original series can be made for placement in one of these steel stand frames that hold the glass in place via compression. These stands are available in either 6" or 8" lengths and are perfect for a coffee table, mantle, or bookcase. 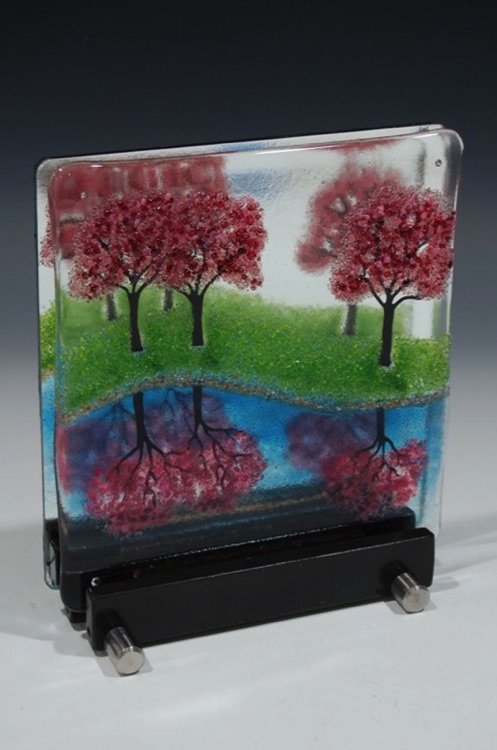 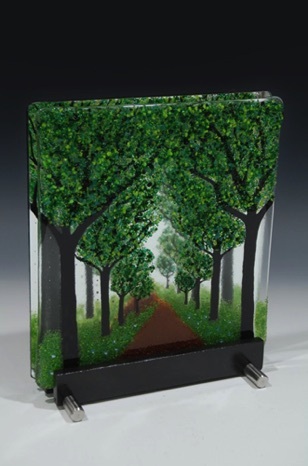 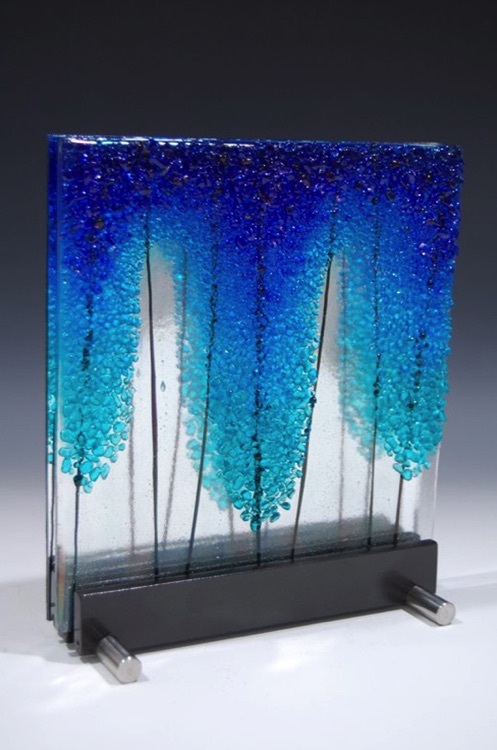 The fused glass tiles within the stands are approximately 6.75" or 8.75", respectively.